THIS COMPETITION IS NOW CLOSED, THANK YOU TO ALL THOSE WHO ENTERED. 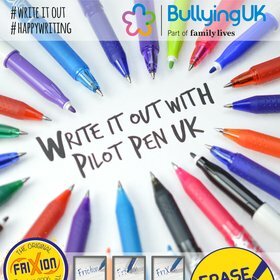 Bullying UK, part of Family Lives and the FriXion erasable pen from Pilot Pen UK today launch their #writeitout anti bullying creative writing competition to help parents, pupils and teachers tackle bullying throughout the UK. The competition wants schools, families and adult carers to encourage pupils and children in their care to step away from their laptop or hand-held device and explore through pen and paper how we can #writeitout. Imagine what it’s like to be bullied, what could you do? The competition is open to all UK residents (including residents of the Channel Islands and the Isle of Man). 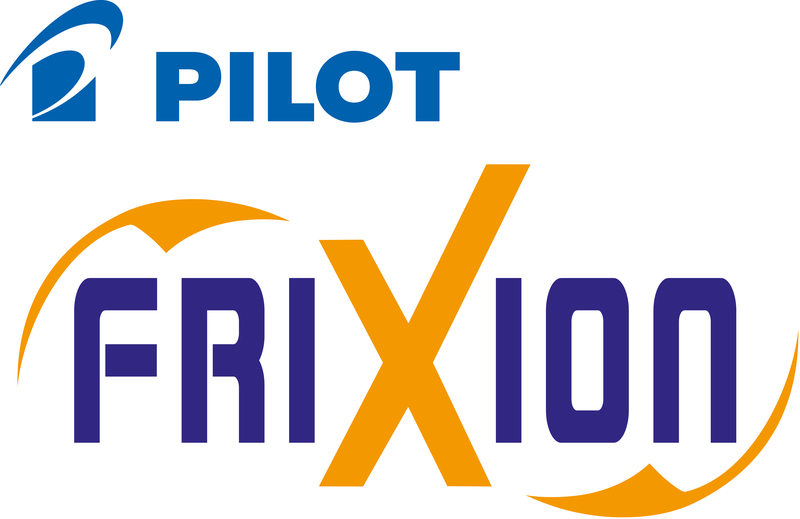 You must be aged between 6 and 18 years on the closing date 13 November 2015 in order to enter. The second judging stage will look at the 10 best entries in each age category and be carried out by a panel of Family Lives and external judges. This panel will consider the 5 best entries for each age. Please do not use any swear words or rude words on your poster. Entries for BullyingUK and Pilot Pen UK’s Creative Writing Competition must be received by no later than 5:00 pm on 13 November 2015. You may wish to use a computer or you can write freehand. If writing freehand, pieces of paper must not be bigger than standard A4 size. You can also scan and email us your entry. The creative writing entry must be the entrant’s own original work, not defame, nor breach any copyright. All submissions must include: name, date of birth, address including postcode and telephone number and email address of the entrant and their parent or guardian or school. All competition entrants can enter via email to webcoordinator@familylives.org.uk or you can send us your entries by post to: #writeblue Competition, BullyingUK, Endway House, Endway, Hadleigh, Essex, SS7 2AN. We would really appreciate your support if you could spread the word about our creative writing competition. On social media? Use our #writeitout and spread the word about anti bullying.